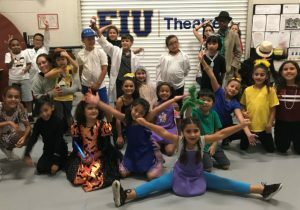 FIU Theatre is uniquely situated in a major global city distinguished by cultural diversity and a vibrant arts scene. 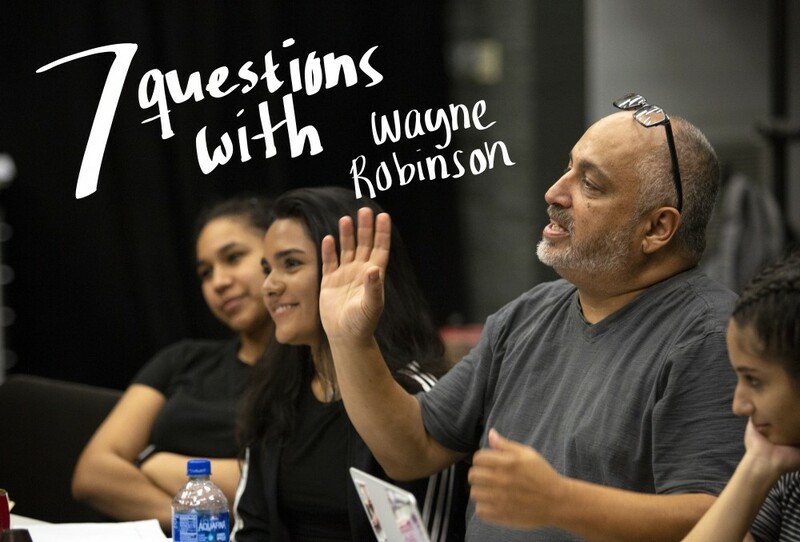 Accredited by the National Association of Schools of Theatre (NAST), the department’s primary purpose is to immerse students in the practical work of theatre production while familiarizing them with world theatre history, criticism, literature, theory, and analysis. We produce 4-5 shows a year, spanning genres, historical eras, and styles. 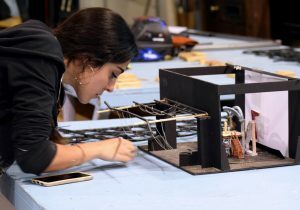 All of our shows are performed, designed, and built by our talented students and faculty. The shows serve as the laboratories where our students put their learning into practice. Only 125 majors are selected for our program. 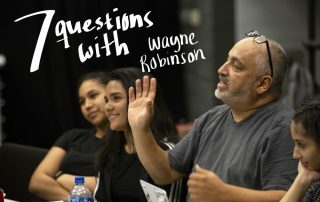 This gives our students many opportunities to work on productions and receive one-on-one mentorship from our quality faculty. 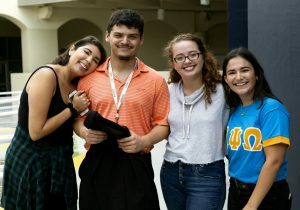 FIU is the fourth largest university in the country, meaning our students get all of the perks of a large university while enjoying the luxury of a small program. 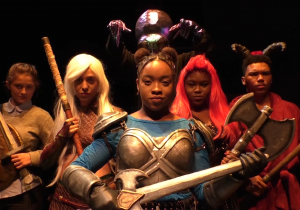 Our students travel to, and present work at, regional and national conferences like the Kennedy Center American College Theatre Festival (KCACTF) and the United States Institute for Theatre Technology (USITT), where they are consistently recognized for the quality of their work. In 2018, four of our students won all expenses paid national fellowships to the National KCACTF in Washington, DC. 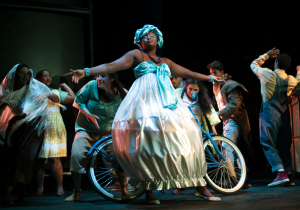 The fellowships were for Scenic Design, Stage Management, Directing, and Theatre Journalism. 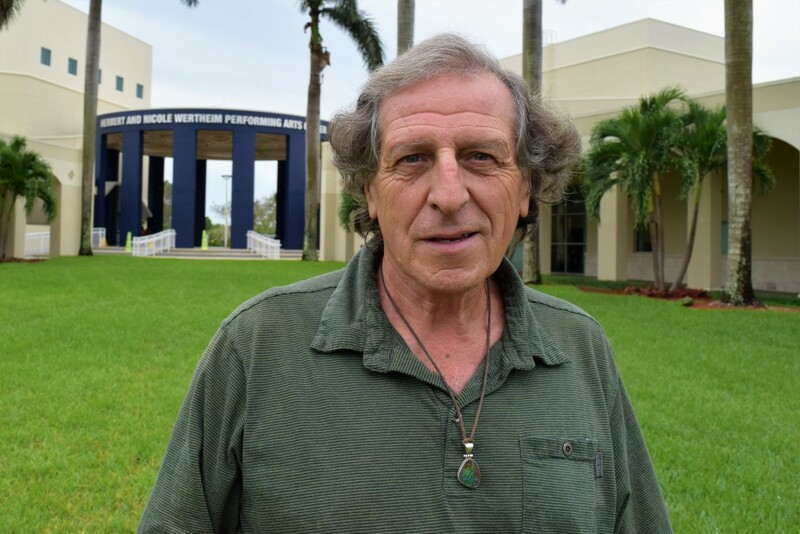 Our home is the Wertheim Performing Arts Center, a professional-caliber theatre venue with a 200 seat proscenium theatre and a 90-120 seat black box theatre. 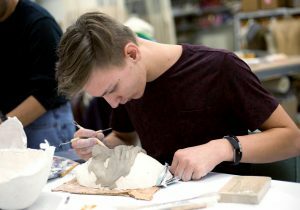 It also has cutting-edge scene and costume shops, a design studio, and a light lab stocked with the latest technology. We also have classroom and performance spaces across campus, like our DM-150 Theatre where we perform some of our shows and present student-directed work. Our 2018-19 season features 5 exciting shows performed, designed, and built by our talented students and faculty. 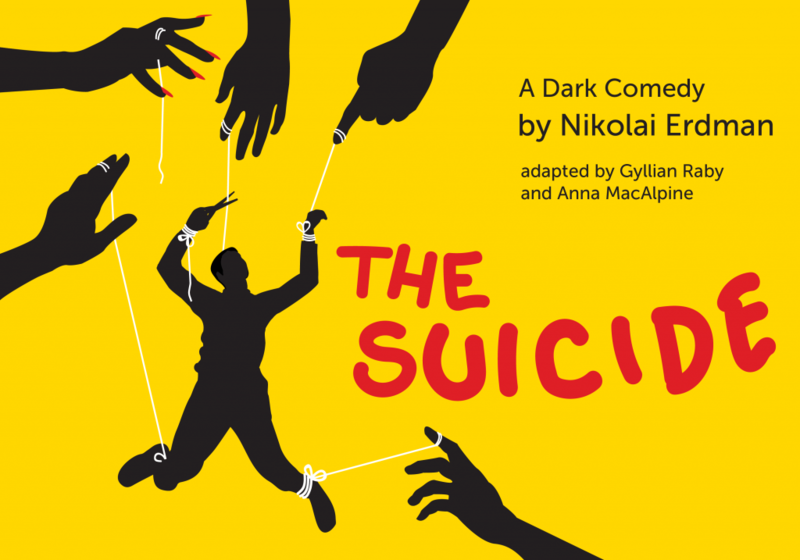 Click below to find important information and links to tickets. Go behind the scenes and check out our show trailers and production photos. 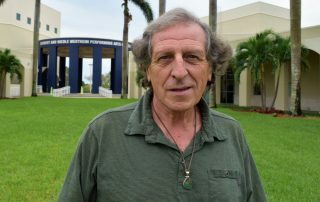 FIU Theatre offers BFA degrees in Acting and Design and a BA in Theatre. Click below for more information on our degree programs. Prospective students with a strong interest in acting need to audition to be admitted into the program. Click below for information on scheduling your audition, what you’ll need to prepare, and what you can expect on your audition day. Prospective students with a strong interest in design and technology management need to schedule an interview and portfolio review with our faculty. Click below for information on scheduling your interview and what you’ll need to bring with you. 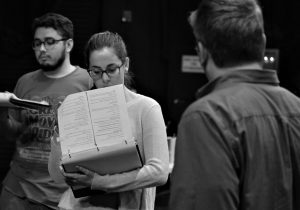 The Student Handbook contains all of the information and policies you need to know as an FIU Theatre student. Click below to read the Student Handbook. 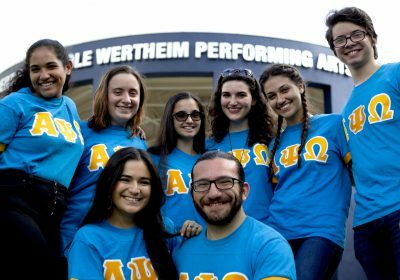 FIU Theatre has a very active chapter of Alpha Psi Omega, the national theatre honor society. Click for more information on their events, activities, and how to join. 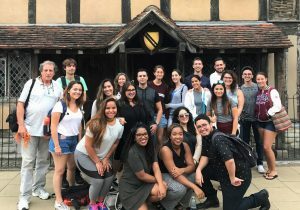 FIU Theatre offers an opportunity for students to study abroad in Stratford, England. Participants watch productions of the Royal Shakespeare Company and visit landmarks such as Shakespeare’s birthplace. Click below for more information on this exciting opportunity. The Greenhouse is a summer new play development series. 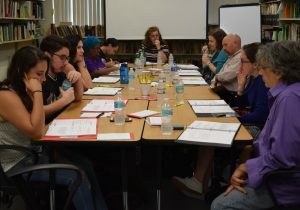 Three South Florida playwrights are selected for one week intensive residencies to workshop and revise a draft of a full length play. Our Summer Camp gives children ages 6-12 the opportunity to explore their creative side, develop valuable social skills, and boost their confidence…all while having TONS OF FUN! 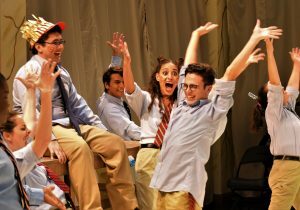 FIU Theatre has many shows, student projects, and workshops throughout the academic year. Click below for a calendar of our events.